Not a typo, that is the title of the latest episode of DC Universe’s Doom Patrol series. Halfway through this first season, this reimagining of the classic 60s team of super-misfits has delivered its best episode thus far. Like its obvious writing influences (viz. Alan Moore via Grant Morrison), this episode spends time and effort to deconstruct current superhero tropes to present a poignant tale about the dark side of being a ‘metahuman’. One of the original comic book members Mento is featured together with two second generation members – Lodestone and Celsius – as Rita Farr, Larry Trainor and Crazy Jane are introduced to the ‘original’ Doom Patrol and discover an disturbing aspect at the Chief, Niles Caulder. Yes, like the previous storyline, there is no direct confrontation with main baddy Mr. Nobody but that’s the whole point of the exercise. The audience is allowed to find out more about the different characters at the same time as these characters do, even if there are less of the traditional superhero fight sequences. April Bowlby as Rita Farr is definitely the breakout star of this series. Elasti-Girl as originally conceived did come across as a 2nd rate Invisible Girl but more contemporary comic book writers have developed her character significantly. Bowlby impresses with her nuanced performance of this narcissistic personality burdened by an uncontrollable body. 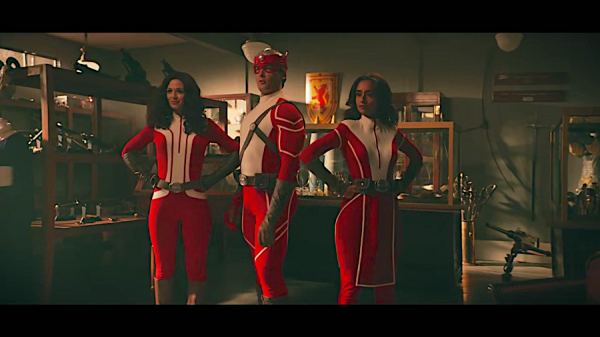 There’s little doubt in my mind that Doom Patrol is now the best superhero TV adaptation out there.